The authority in Criminal Trial Rules is now national in scope! 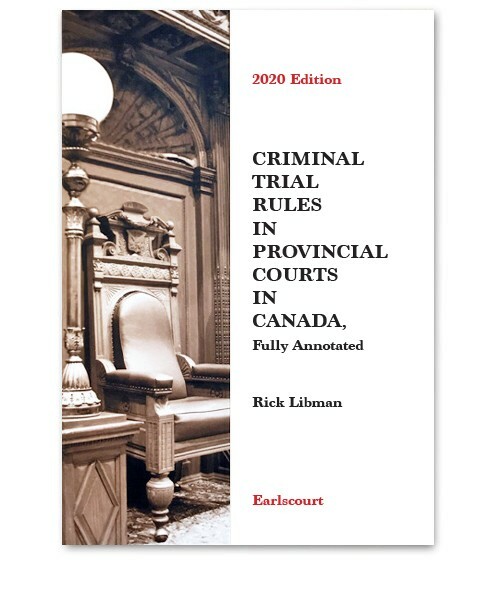 Criminal Trial Rules in Provincial Courts in Canada, Fully Annotated, 2020 Edition is fully updated and expanded, comprehensive, and national in scope. It takes you, province by province, through every applicable regulation, rule and practice directive, and includes the related statutory provisions – PLUS the relevant Rules of Professional Conduct. For members of the judiciary, criminal lawyers, and all those requiring an in-depth knowledge of the Criminal Trial Rules in Provincial Courts in Canada. This new title is the standard reference, and is available for pre-order now!